One of the most common reasons for people wishing to make their Squarespace sistes multilingual is to attract traffic from those markets. Commonly, we have consulants, micro-businesses and small businesses who are themselves bilingual or polyglots and their customers are similarly talented. By adding the Multilingualizer to your Squarespace site, you get the ability to have blocks of text be hidden or shown for different languages. Since the text all exists on your site, Google is guaranteed to see it, but with the latest changes we’ve made things are even better for SEO now. 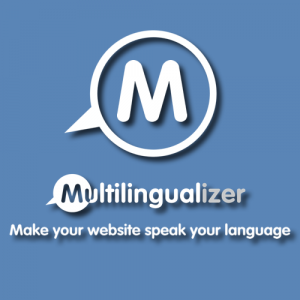 We have made a couple of important additions to the Multilingualizer to help with your SEO landing pages which have gone live today. Note – this still means the URL is not translated. If you wish to have translated URLs for some pages then for those you will need to make use of our other new feature – language specific menus. Thanks to popular demand, we’ve added language-specific menus to the Multilingualizer. For example, you can create a menu specific for the French language and inside it have links to French-specific pages – these French-specific pages can have French language URLs and be entirely in French. To make a menu be French-specific, all you need to do is add an extra menu item to the French-specific menu at the bottom called [french]. Give it a URL of # (the menu item gets removed anyway). Now only French-language users will see this menu and you can contain French-specific pages with French URLs inside it. Use our on-page translation system for your products so you don’t need to maintain two stores. Bear in mind that we cannot translate the checkout pages, but if you use the on-page translation all translations of the product names will be passed through to your payment gateway. Payment gateways themselves mostly present pages in the users language. If you don’t wish to have both languages present in your product names at checkout, if you’re on SquareSpace or Shopify, you can run two or mores stores – one for each language. But then you have stock control issues where the stock needs to be updated between the different stores. Until Squarespace or Shopify add multilingual features, there’s no way around this. We’ve added video tagging – when you add a video to your site, add [english] to the video description and this video will only display for English-language visitors. We’ve improved natural SEO using hreflang metatags and the unique ?lang=fr page for our on-page block translation. We’ve also added language-specific menus to allow you to easily have complete pages specific for each language where necessary. We’ve got a semi-automated translation tool coming soon to make it easier for you to generate backfilled translations for all your pages. 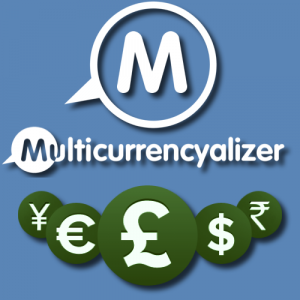 If there’s anything else you’d like to see, let us know and we’ll add it to the next sprint for the Multilingualizer. I’ve created some links to switch language. When Portuguese is active, the Portuguese button is hidden and vice versa. I would like Google bot to be able to detect both languages. Hi – is this with language-specific pages? If so, then on each page you should be able to click the cogwheel, click code injection for that specific page, then paste the relevant meta tag in there. 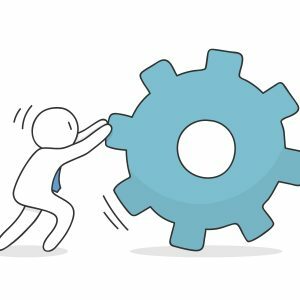 You can alternatively achieve a similar thing through your sitemap. I asked the same question months ago but answers were not satisfactory. For example, you could create a link in your menu which links to https://www.yourdomain.com/?lang=en and then it will switch languages and show that page in english. NO REPLY AND NOT WORKING IN MY SQUARESPACE. Hi – please email [email protected] or visit our Facebook page. If you can include a link to any Q&A you may have asked it will be very helpful. I also need information about WHAT is not working. contact page that has been pending for close to 4 month now. those have never been replied to. Please check the matter urgently and provide support ! Hi Alex – can you confirm this has been answered now? If not, either contact me through [email protected] again or through our new Facebook page. I believe I *have* solved your issue but there’s been quite a few I had to plough through. multilingualizer is NOT WORKING AT ALL, on my squarespace website. Is it because I am on DEVELOPER mode? I am having problems to translate blogs in Tudor Template, no way to make it happen. Any tips? Thanks. Hi – it works with all templates. What do you mean by ‘no way to make it happen’? The next planned upgrade is scheduled to start at the end of March and the launch should be some time in April. There has been a short delay on the release of the upgrade with the fix for this – It should be here next week sometime – we will notify all users as soon as the upgrade is here. Do you have an idea when the fix will be done? Hi Marise – the caption appearing under the video is a bug we are fixing that happened with the release of the new version – look out for our next upgrade where this will be fixed. About video tagging, that seems to work with the caption (ex: http://www.perifmedia.com/test-video-par-langue) but when I put ‘no dot display caption’ that is not working (ex: http://www.perifmedia.com/test-video-no-caption). Yes this is the case – you have to click to have the caption, then enter [english] to make the video for English-speaking users only. If after I entered [english] , I put ‘Do not display caption’, why does it show EN and FR? Also, if I put ‘Caption below’, I do not want the caption shows [english], it should be not visible.